It’s difficult to judge a film trying so hard be ridiculously bad. Do you knock it for its cheesiness or do you celebrate it for its fun? I choose the latter as this always entertaining, never boring, update of the comic strip from the 1930s, manages to entertain by sheer spectacle. 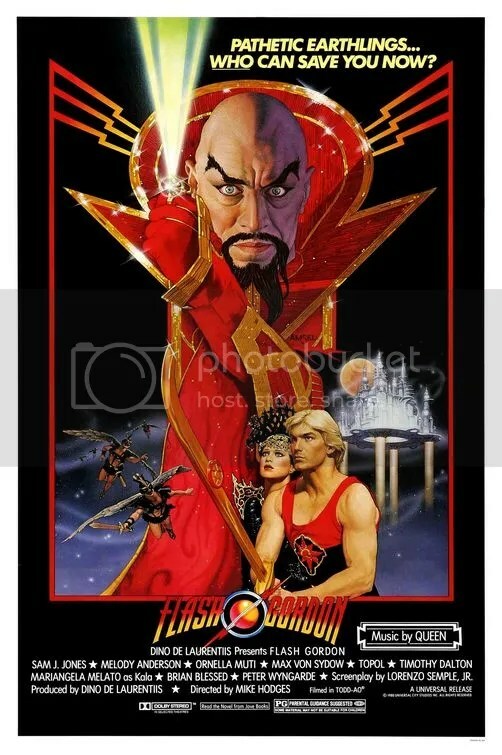 Flash is hijacked to the planet Mongo where he meets Ming the Merciless, intent on sending the moon out of orbit and toward the Earth to destroy it. Why? Oh he’s bored. The special effects aren’t of the technologically advanced Star Wars variety. No, this is retro 70s-style futurism. The explosion of colors and opulent costumes that Flash encounters when first entering the city of this new world recalls The Wizard of Oz, Superman and an Earth Wind and Fire concert. Words cannot do the production design justice. And what a cast! Everyone is in on the joke as the acting is way over the top. Max von Sydow makes a diabolically evil villain. 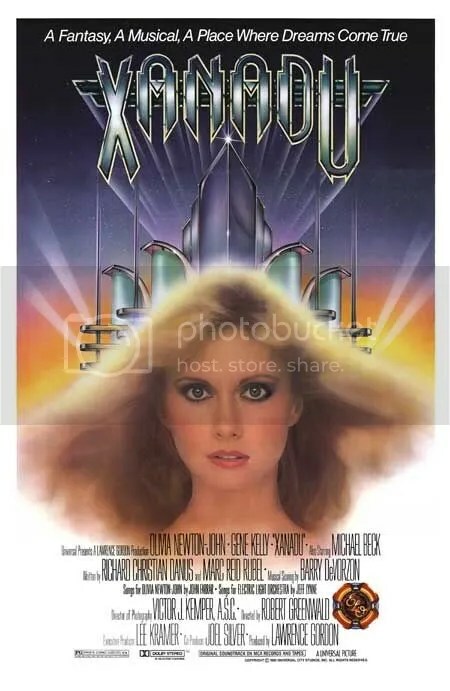 Topol is a disheveled, wild-eyed scientist, Brian Blessed as prince of the Hawkmen, shouts his lines in bombastic tones as if he’s reciting Shakespeare and Italian actress, Ornella Muti is a seductive space princess that really gets around, if you know what I mean. If that wasn’t enough, there’s that rock opera title theme by Queen. “Flash! Ah-ahh, He’ll save every one of us!” Inspired lunacy. 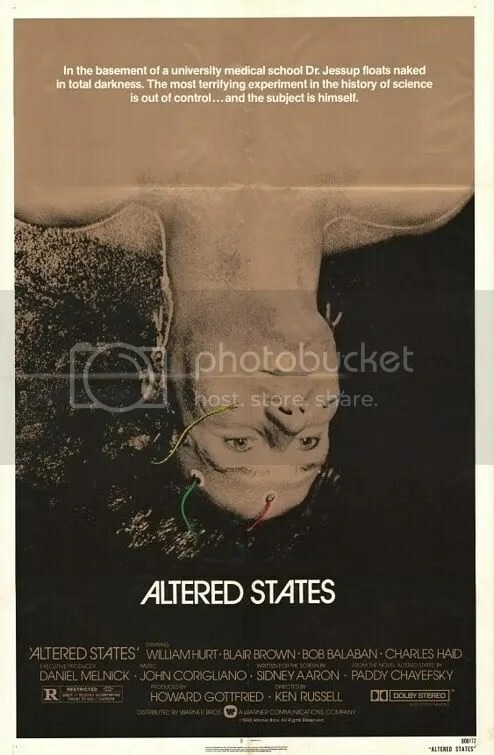 Exhilarating psychological sci-fi about a university professor who encloses himself in a sensory-deprivation chamber and experiments with hallucinogenic drugs with drastic results. 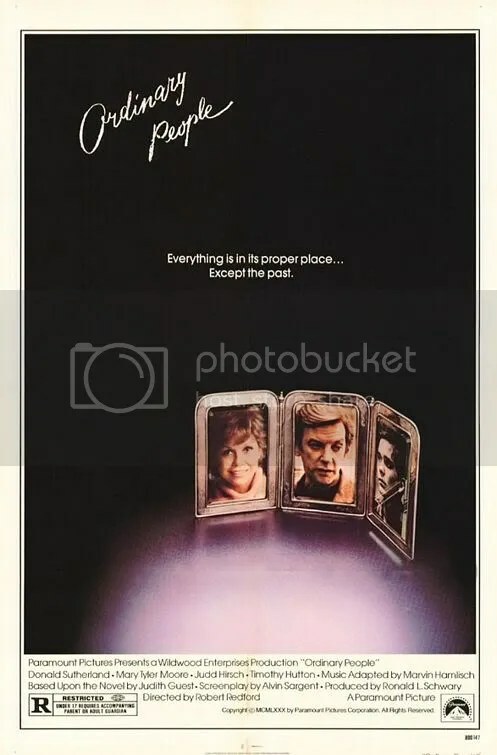 Seductively sets up a feeling of anticipation in the first half, then devolves into a rather amusingly ridiculous horror film in the second half. Filled with dreamlike images, stunning special effects and horrific makeup. Even at its most ludicrous, it is a thrilling roller coaster ride of a film. 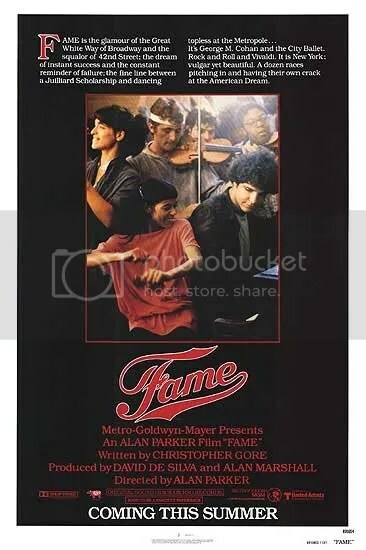 William Hurt gives a brilliantly unbalanced performance in his film debut.